Congratulations to Zack & Corey on their recent destination wedding in Mexico! We feel that the the design provided great insight into the fun that this wedding promised. 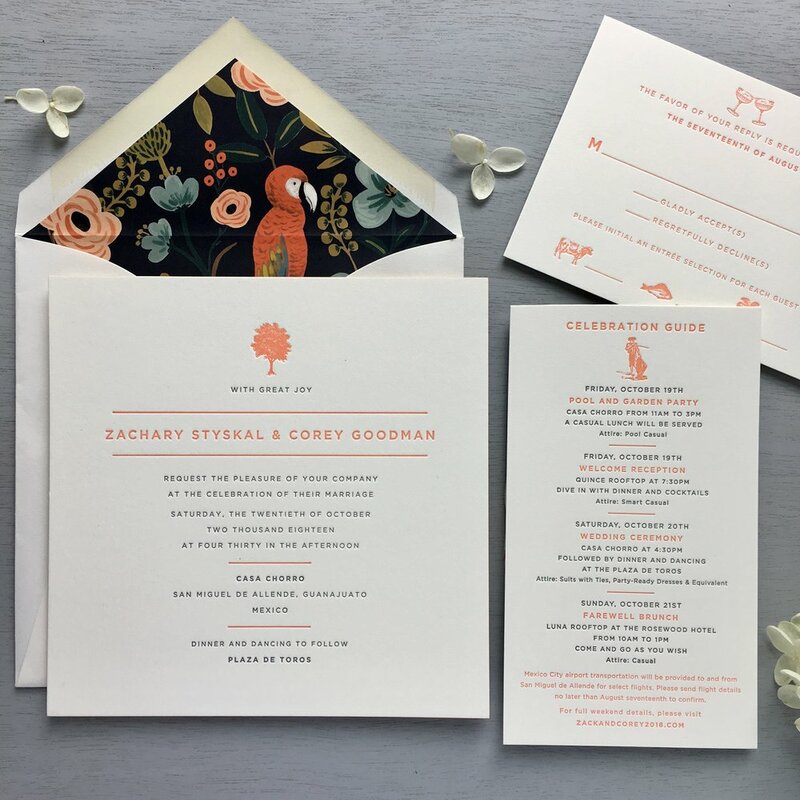 They chose to work with our Modern Love design, in charcoal and coral ink, with some vintage illustrations to top the cards. The matador on the Celebration Guide is so sweet! They also wanted to line their envelopes in a fun pattern, so we sourced this parrot patterned paper from Rifle Paper Co. They make the whole design a real standout!